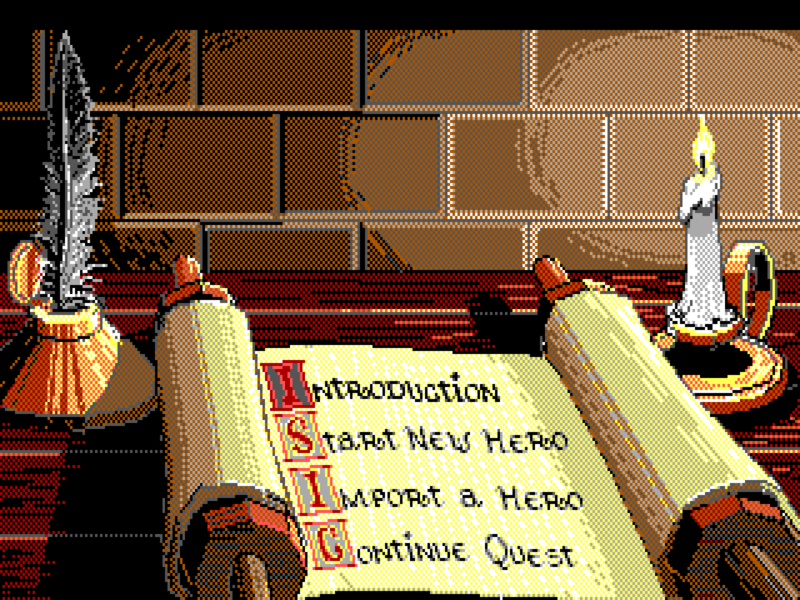 In the game's main menu, you can play the Introduction, start a new hero (without viewing the introduction), import a hero from a save game file of Quest for Glory 1 (Hero's Quest) or Quest for Glory 1 VGA, or Continue your Quest (restore a saved game). 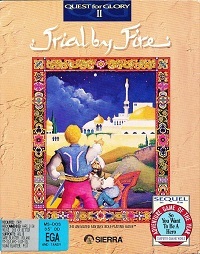 About Quest for Glory II (CTRL-G): displays the game credits and game version. Silly Clowns (CTRL-Y): this was proposed by Brian Hughes as a useless option to parody the disabled menu items "for future enhancements" in productivity software. However the programmers decided to include some useless humor with it. Game: Here you can increase (+) or decrease (-) animation or set it to normal speed (=). You can also change the sound volume (CTRL-V) or enable/disable the sound (F2). You can also set the arcade difficulty (F4), game detail (F6), and game time scale (F8). Information: Here you can access your inventory (CTRL-I) or your character sheet (CTRL-S). You can also inquire about the time and day it is (CTRL-D), print "Ask about" (CTRL-A), "tell about" (CTRL-T) or "Look at" (CTRL-L) in the command line. Note that you can also look at people or objects by right-clicking the mouse on it. Finally you can also Read the map (CTRL-R) and check the compass heading (CTRL-H).